Perhaps one of the reasons Philadelphia couples love the photographers at JPG is that we make it a priority to express our clients’ personalities in our imagery. 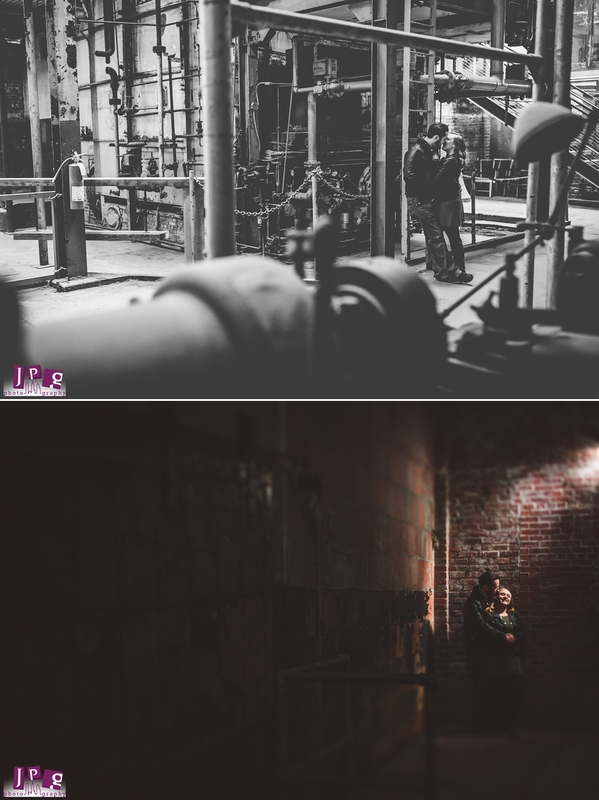 Kim and Josh’s Fishtown, Philly engagement session exemplifies this with its unique urban flavor. 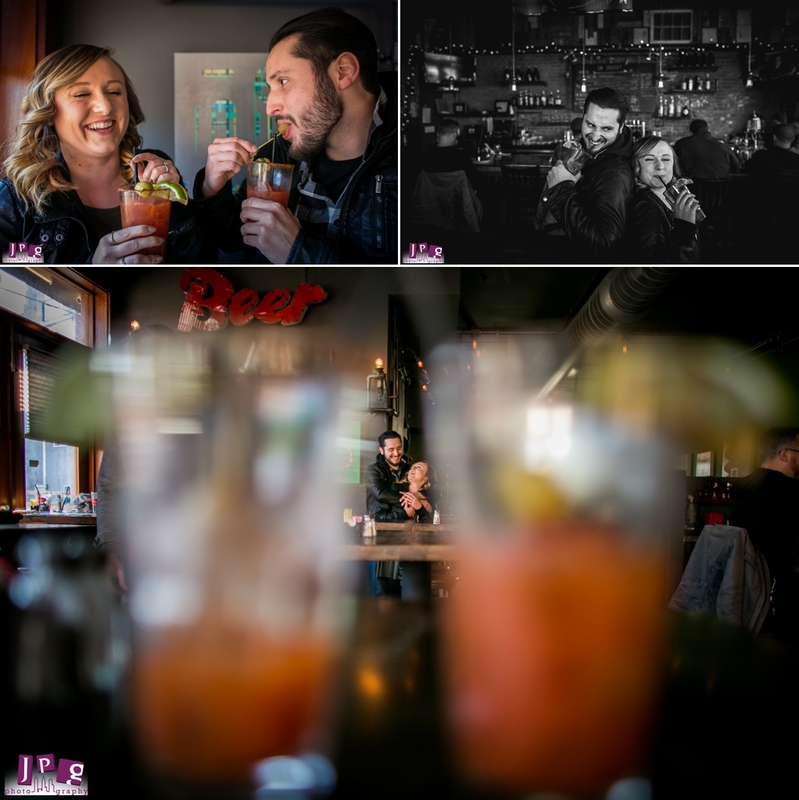 We kicked off the day with a round of delicious Bloody Marys at Cedar Point Bar and Kitchen, one of Kim and Josh’s favorite local spots. As we were leaving, a man who lived in the apartments above the bar asked us if we wanted access to the roof for a few shots. Yes please! Without any hesitation, we were on the roof getting awesome captures of Kim and Josh with the Philadelphia skyline as our background. 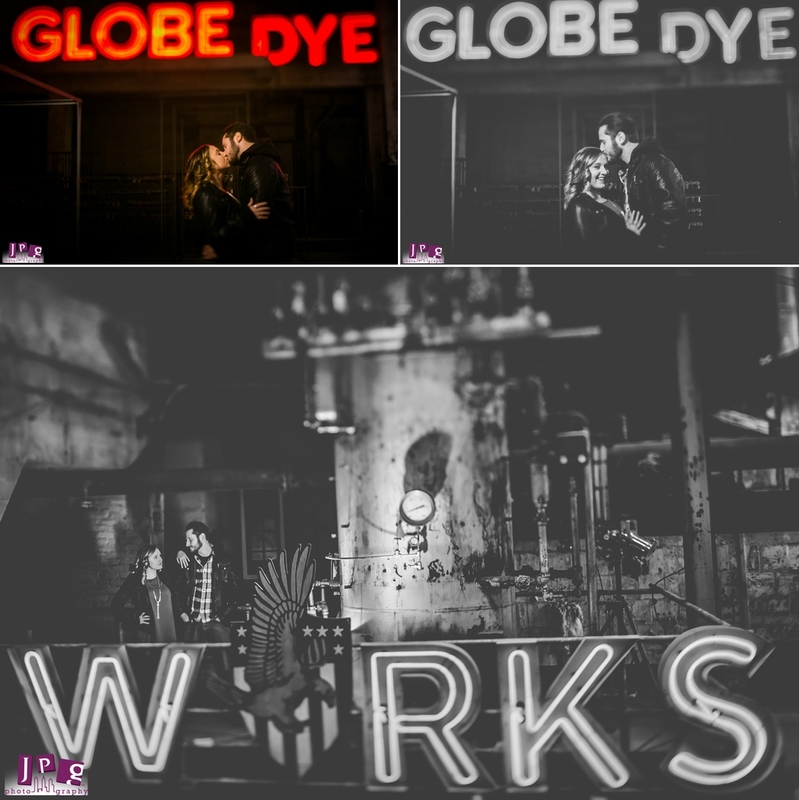 Next up was an incredible session at Globe Dye Works in Frankford. This factory-turned-artist community set the stage for images rich with texture and grit. Kim and Josh rocked it, and proved that you don’t necessarily need sun-dripped photos in a field (though we love those, too) to adequately capture romance. Their love absolutely radiates in these photos, especially for our final stop at Race Street Pier. 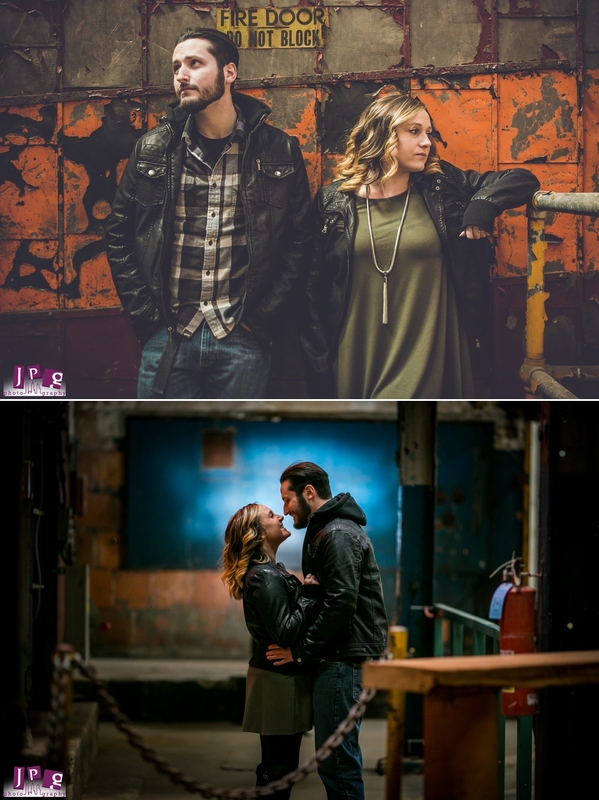 The urban flair weaves through this engagement session to the wedding, which will be at the Steel Stacks in Bethlehem, PA. We are so excited to have another opportunity to capture Kim and Josh’s love and celebrate the milestone of their marriage. Good luck guys!